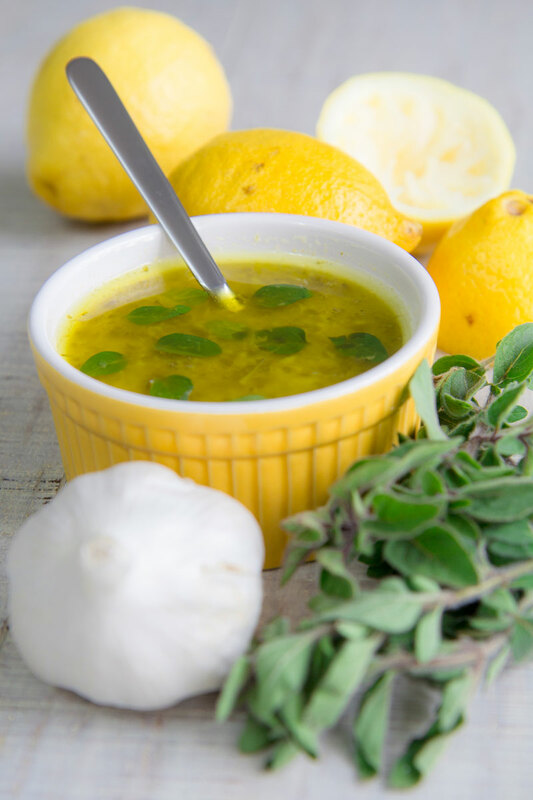 Salmoriglio is a traditional Italian marinade, typical in Sicily and Calabria, prepared in several ways, depending on the regions of Italy (to read the whole story and recipes of Salmoriglio, click here). 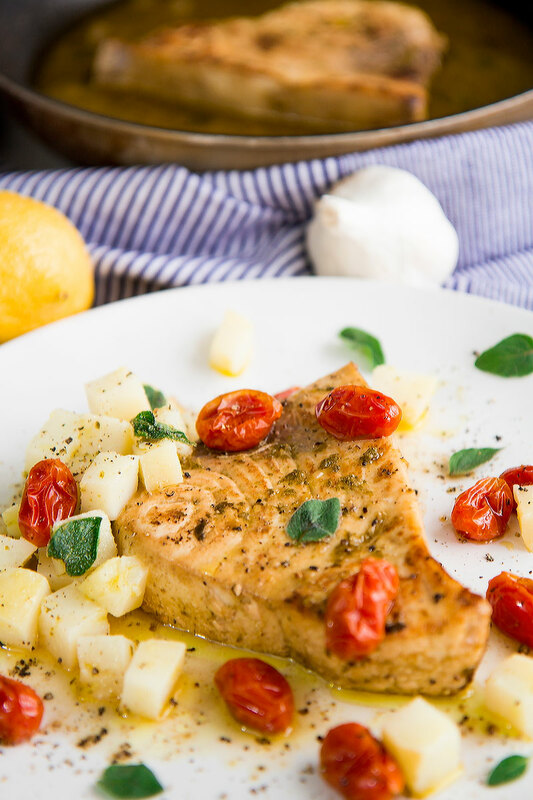 Today, we prepare a lemon and fresh oregano, perfect to flavor fish and vegetables. First, rinse the fresh oregano leaves, then dry with paper towel. After that, mash oregano with a pestle along with 1 clove of garlic and 1 pinch of rock salt until obtaining a smooth paste. Now, squeeze the lemon and sift the juice, then combine with the olive oil and water. Finally, combine all the ingredient and whisk until consistent. Alternatively, blend all the ingredients in a mixer. 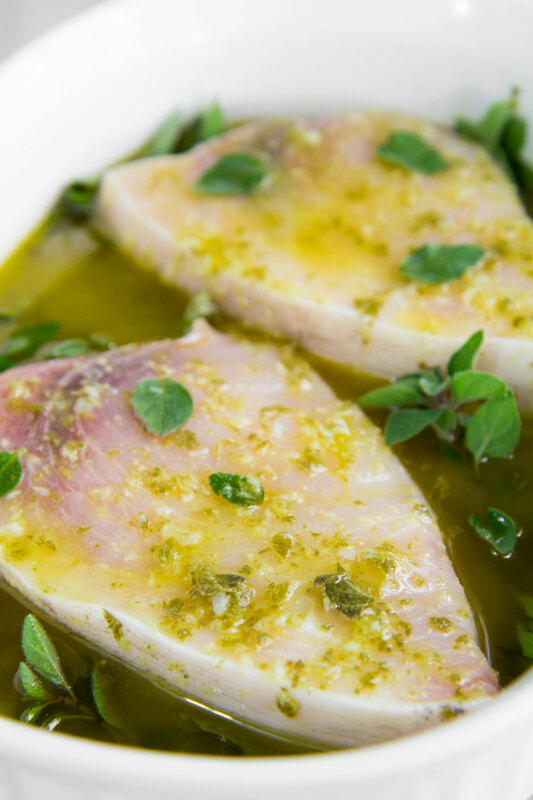 Divide the Salmoriglio marinade: save a few tablespoons and store in a covered box, then pour the rest of the sauce in a deep plate over the swordfish steaks. After that, wrap the plate and store in the fridge at least 2 hours, up to 4 hours, flipping the fish halfway. 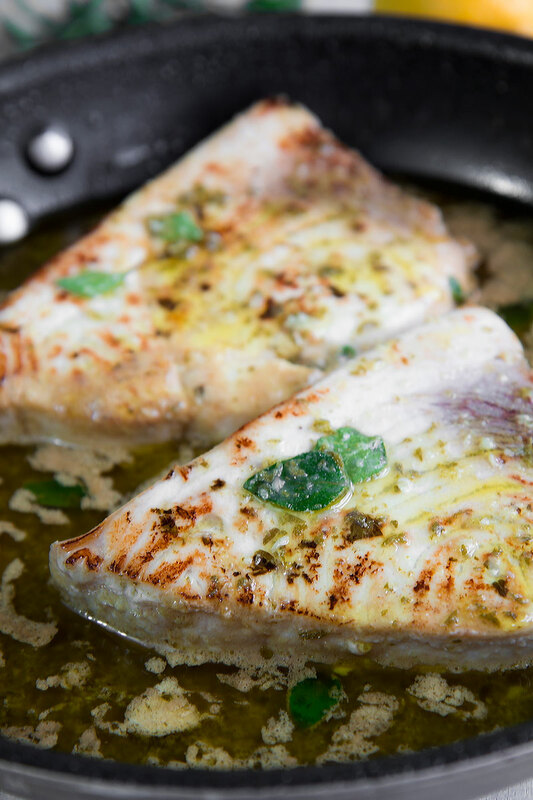 Place a big frying pan over high heat, then raise the fish from the marinade and sear 1 minute per side. If the pan is not big enough, use two pans. After that, low the flame at the minimum and cover with a lid. Cook 7 to 10 minutes more, depending on the size of the swordfish steaks. 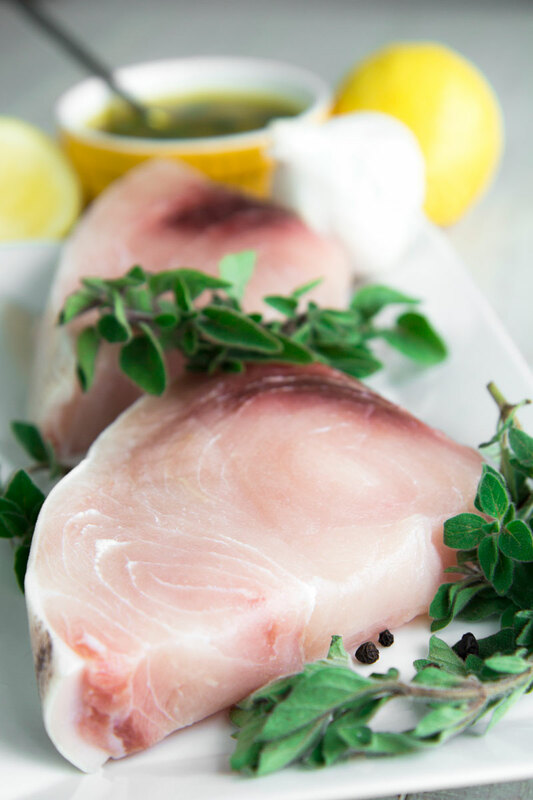 Finally, serve the pan-seared swordfish, completing with a dash of black pepper and a few tablespoon of the Salmoriglio we did not use to marinate the fish. 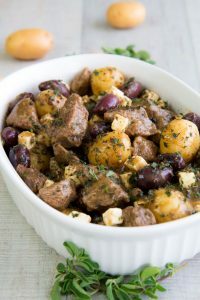 Serve along with vegetable sides; for instance, boiled potatoes or oven roasted cherry tomatoes.